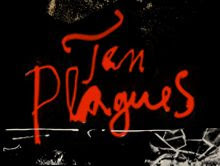 Marc Almond’s performance of Ten Plagues is one of the most distinctive pieces of theatre in recent years and at last arrives in London having garnered a Fringe First in Edinburgh in 2011. Written specifically for the singer by Mark Ravenhill, after Almond had shown an interest in the author’s earlier work and with a challenging piano score both written by and performed on the night by Conor Mitchell, it draws its title from the perspective of the biblical Israelites who survived the plagues wrought upon the Egyptians and projects that take on survival forward in time to 1665 when the Black Death (The Great Plague) devastated London. Almond’s solo performance is of a seventeenth century Londoner living through the plague and surviving it, though Ravenhill then fast forwards our viewpoint through the years again, to draw parallels with the 20th century emergence of AIDS (The Gay “Plague” as it was homophobically labelled in sections of the media) and the impact of living through the onslaught of that modern disease. Whilst he may be a wigged and costumed commentator, Almond is no charming, kindly Samuel Pepys. Ravenhill’s staccato language and Mitchell’s cleverly crafted music make for very uneasy listening. Whilst the performance is unquestionably to be admired and respected, it is not an enjoyable night out, nor is it intended to be. Spread across 17 songs, it traces the arc of the Plague’s growth and the emotional horror and fear evoked, both in Londoner’s being shunned by other healthy Britons as well as the suggested visual and visceral image of cartloads of bodies being dumped into the lime pit. Simply staged and costumed, clever video projections suggest a timelessness to the shunning of the infected, whilst the decayed (albeit undergoing a marvellous programme of restoration) Grand Music Hall at Wiltons provides an authentically atmosphere of “quasi-dereliction” that echoes the majestic London coming so close to succumbing completely to the apocalyptic virus. Almond’s performance is a revelation. Having battled back from a horrific motor cycle accident some nine years ago, he brings to the verse not only that seductively sardonic and provocative lilt that those of us old enough to remember the 80’s know so well, but also the wise and weathered inflection that reflect his 55 years. Fans of the singer will not be disappointed at how he throws himself into the songs, sustaining some notes that seem to go on forever. At the curtain call he was demonstrably exhausted and spent having given of himself completely to his art. Only lasting an hour, this is a must see if you enjoy the work of either writer or singer, or believe in the philosophy of theatre being a fulcrum of debate and challenge. 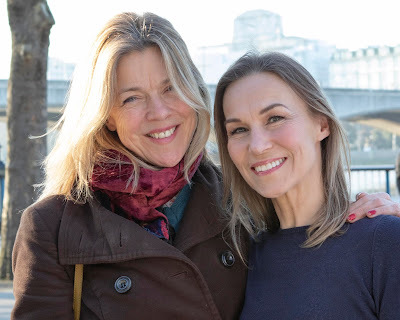 The house was packed on press night, and the standing ovation that Almond received was proof above all that the adoration and love in which he is held, is far from tainted.